"Best medical facility I've ever been to." Everyone in the office...is wonderful"
"His staff is very polite and caring." "Thanks Dr Overcash and his staff. They are all great!!!!" "I have recommended this practice to several friends." At Women’s Health Institute, Dr. Larry Overcash and Erin Overcash WHNP help women in and around Peoria, Illinois and the surrounding areas maintain their overall health and wellness. Dr. Overcash and Erin Overcash are dedicated to providing highly professional and compassionate healthcare to women of all ages including important OB/GYN services such as well-woman exams, care for uterine and reproductive organ problems, and obstetrics. Dr. Larry Overcash is a board-certified OB/GYN, who serves the residents of Peoria, Illinois and many of the surrounding communities. At his facility, Women’s Health Institute, Dr. Overcash treats women during all stages of their lives. Dr. Overcash received his medical degree from the University of Illinois and is recognized as a Fellow by the members of the American College of Obstetrics and Gynecology. Erin Overcash is a board-certified Women’s Health Nurse Practitioner, who received her BSN from Bradley University in 2006 and received her MSN from the University of Illinois Chicago in 2010. Erin specializes in all aspects of women’s wellness. She can prescribe medications such as oral contraceptives and hormone replacement therapies. She is able to diagnose, prescribe and treat her patients, offering them the best options when it comes to the highest quality of healthcare. At Women’s Health Institute, Dr. Overcash and Erin work hard to make each and every patient feel as comfortable as possible. At the practice, patients can receive a full line of gynecological and obstetrical medical services. The practice utilizes the most innovative technological advancements which can include many different fertility techniques in addition to the use of bio-identical hormone therapy. The practice also offers surgical options for patients in addition to regular care. The entire staff at Women’s Health Institute, as well as Dr. Overcash and Erin Overcash, welcome all new patients to the practice, where most major forms of medical insurance are accepted. You can now manage your appointments, results, payments, and much more online via the patient portal. Login to get started! "Staff all friendly and great! Dr. Overcash was kind and patient and seemed to know me better than I know myself. Thank you for your kind words." 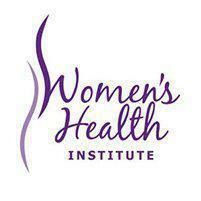 "Absolutely the best place to go for women's health issues. I have been going for years." "Dr. Overcash never makes you feel rushed. He's very thorough and gives great advice for bettering your health. Very friendly and kind." "Dr. Overcash is an amazing physician. He had me back feeling normal after surgery right away. He has delivered all of my children and I would highly recommend!" "I give this office an outstanding review; they are very professional and care about your health concerns."